Business user tools, such as Excel and SharePoint, can be utilized to improve your processes for master data creation and maintenance. Setting up new master data records involves collecting data from many different parts of the business. For example, a new material or master data record requires input from various departments–including accounting groups, the manufacture plants and the sales organizations who will market the product. Often, a number of approvals are needed to happen at various stages of the data collection process. The processes for setting up new customers and suppliers share similar characteristics. The data stewards responsible for entering this data into the ERP system (e.g., SAP ECC or Oracle E-Business Suite) often spend a significant amount of time chasing and correcting data from the different stakeholders using email or other primitive workflow tools. This back and forth can delay the process by several weeks– and it is not unusual to see the complete data collection and validation for a new product take up to 45 days! Not only do manual processes delay the availability of critical master data, they also have a negative impact on data quality. Manual re-keying of data is error-prone and can have costly consequences in downstream transactions relying on data accuracy. The longer dirty data is allowed in the system, the bigger the problems become. The issues outlined above boil down to two factors: time and quality. For business transactions to run smoothly, master data needs to be completed on-time and accurately. One of the most effective ways to improve both time and quality is to fix the issue before it occurs–i.e., at the point of entry. By implementing automated workflow processes for master data creation and maintenance, you ensure that data is complete and accurate before being loaded into the system. These types of processes are also commonly referred to as active data governance. Quality: Data entry forms with role-specific views that have built-in validation rules, ensuring only valid data can be entered for the various attributes. Time: Workflows that streamline processes by automatically routing forms to all data contributors and approvers. 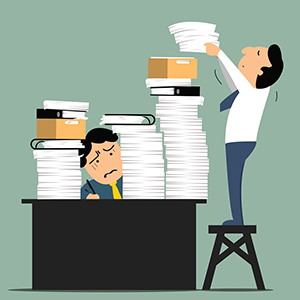 An effective workflow also includes reminders, escalations and a comprehensive audit trail. IT departments should play a role in providing a platform for the business and ensure that correct governance measures are in place. 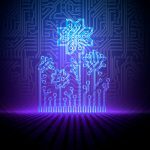 However, the data steward teams or business units that maintain master data are often the best people to implement the solutions that improve master data, because they have a good understanding of the operational requirements and they’re closer to the problems. 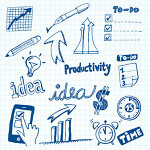 They can also help create processes that are more responsive to changing requirements. Empowering the business to make improvements also helps create processes which are more responsive to changing requirements. 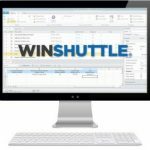 Excel and SharePoint, combined with Winshuttle provides a comprehensive platform of capabilities that can be used to implement active data governance processes. These “front-end tools” are agnostic of the systems of record and can be the collaborative layer where master data is collected and validated before being loaded into a core system. Data can also be automatically loaded into the system of record without manual intervention. For more information view our webcast “A better way to integrate SharePoint & Excel with SAP”. http://bit.ly/1n45RBP.